The construction industry can be a dangerous environment and X3’s top priority is ensuring that tradespeople make it home safely each and every day. Our X-SAFETY solution is a bundle of innovative programs that X3 has implemented to empower our workforce to work safe. One of the best way of ensuring that your employees stay safe is by hiring the highest quality tradespeople. Reputable and experienced tradespeople understand the importance of safety and practice important safety habits daily. Individuals with little to no experience have the potential to become great tradespeople with the appropriate training and guidance on safety. Each candidate must complete a detailed phone screen with a trained X3 recruiter prior to being hired by X3. Each candidate must provide X3 with professional employment references that are then verified by an X3 recruiter. Each X3 candidate must complete a trade specific skill assessment quiz to determine the candidate’s knowledge of the trade. Once a candidate has been hired they must complete a series of safety training videos and quiz. Candidates must successfully pass E-Verify to confirm employment eligibility. Each candidate must complete and pass a pre-employment drug screen. 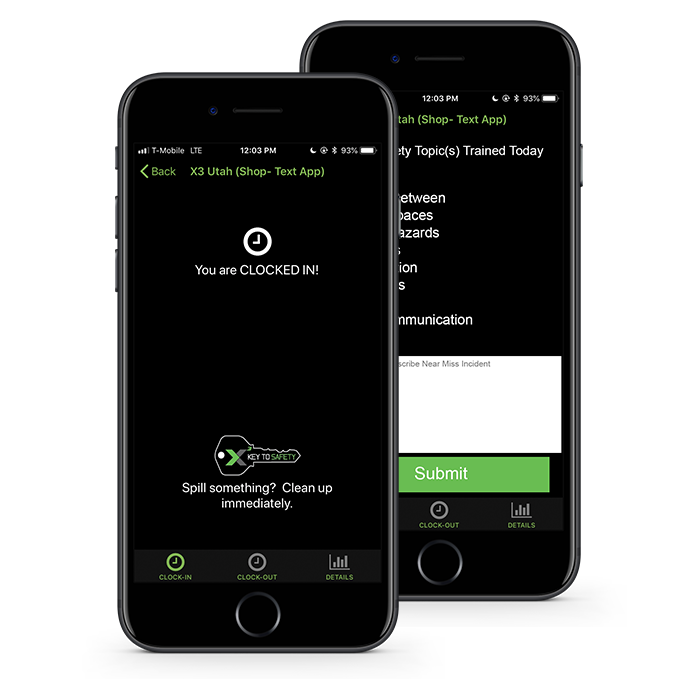 X3’s innovative timekeeper app allows tradesmen to easily clock in and out during the work day. Each time a user clocks in they are greeted with a safety message. When a user clocks out they have the ability to report any safety issues they may have encountered. 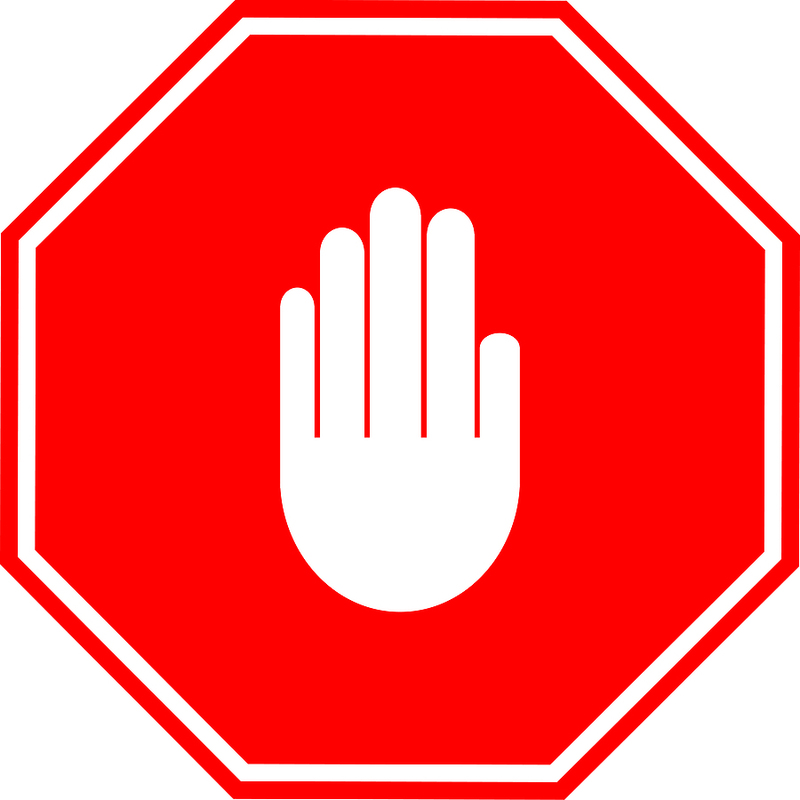 Helps eliminate the mass safety communication barrier. 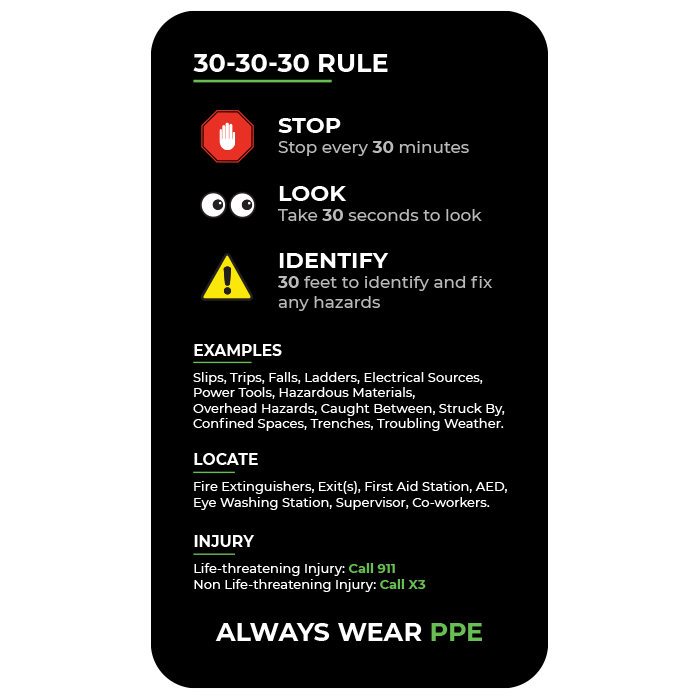 X3 created the 30-30-30 Rule as a constant reminder for our tradespeople to check their surroundings and ensure that their work environment is safe. 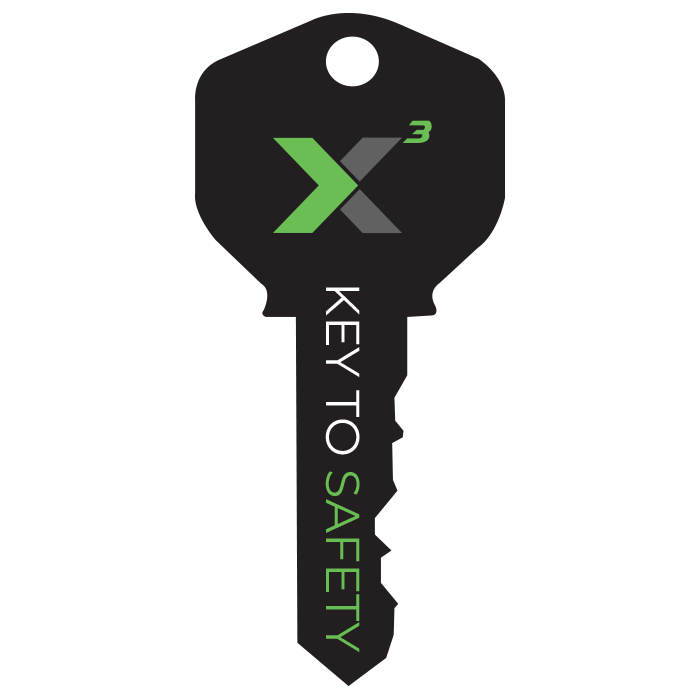 X3’s Key to Safety is given to each tradesmen to put on their car keys. This key is meant to remind our talent that safety is a choice and to make the safe choice every time. The majority of accidents the individual had chosen to be unsafe. The most dangerous thing we do each day is get into a vehicle and with this key being attached to your car keys it reminds everyone to drive safe. The work day can get extremely busy and it can become difficult to always keep safety on your mind. X3 created these simple tools to ensure that tradesmen are constantly reminded to work safe. The X-SAFETY card is given to all X3 Tradesmen and is a constant reminder of their pledge to safety. The Key to Safety is given to all X3 Tradesmen as a reminder to always make the safe choice. 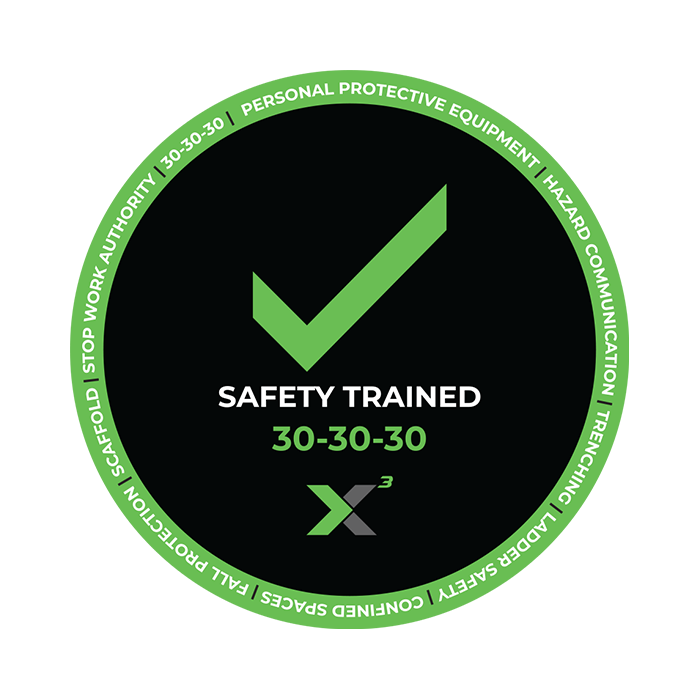 The safety sticker is given to all X3 Tradesmen as a reminder of their training and X3’s 30-30-30 Rule. Not having to deal with medical bills, missing work, pain, or even death are some of the great benefits of working safe. 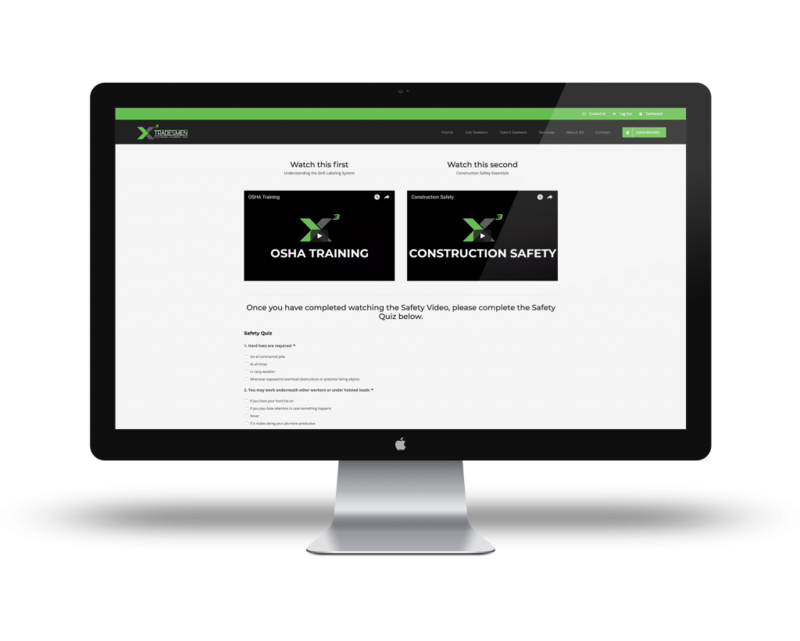 At X3, we take it one step further by rewarding tradespeople that we find working safely on construction sites. 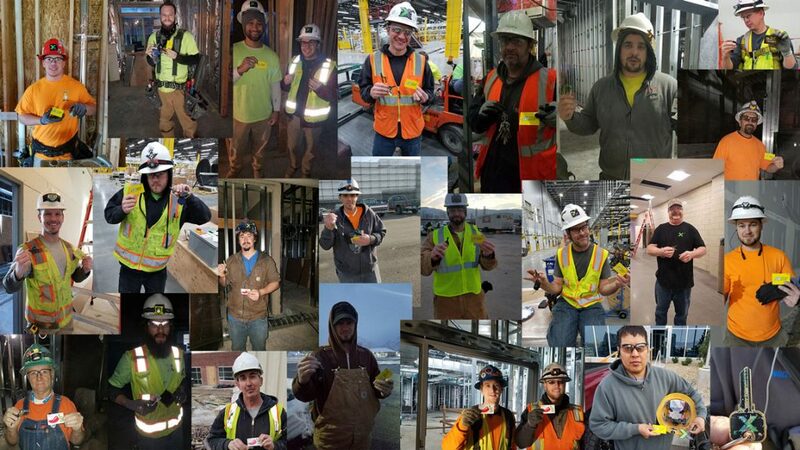 If you are caught with your Key to Safety, Safety Sticker, and Safety Card you might just get a nice little reward!